The protagonist of “The Gambler” is an infuriatingly self-centered, stubbornly self-destructive mess. Except that he’s being sold to us as a romantic, devil-may-care rugged individualist. In the opening moments of director Rupert Wyatt’s film (a remake of the Karel Reisz melodrama from 1974), Jim Bennett (Mark Wahlberg) drops in on an illegal casino in the basement of a sprawling seaside LA mansion. He heads immediately for the blackjack table. Jim doesn’t mess around with strategy. He bets everything he has — $10,000 — on a turn of the card. When he wins, he then bets all of that on the next hand. This continues until he loses everything and walks away with empty pockets. Owing so much to such unpleasant characters would be enough to make most of us curtail our gambling activities. But not Jim. He wheedles and begs until he gets another loan, loses that money, and then shrugs when the heavies show up to demand payback. A superior action film based on real events, “Lone Survivor” is a modern update of the classic “lost patrol” movie in which a small unit of soldiers is trapped behind enemy lines and, often, doomed to fight to the last man. It was inspired by Operation Red Wings, a 2005 mission in which four Navy SEALs were dropped in the mountains of Afghanistan to locate and keep tabs on a Taliban war lord. As the title suggests, it didn’t go well. The opening credits of writer/director Peter Berg’s action drama unfold against documentary footage of the grueling (some might say sadistic) training that potential SEALs must negotiate to become part of this elite fighting force. It’s so rough that bodies and spirits begin to break down. For some classes the dropout rate is 90 percent. The ones who last are tough bastards. 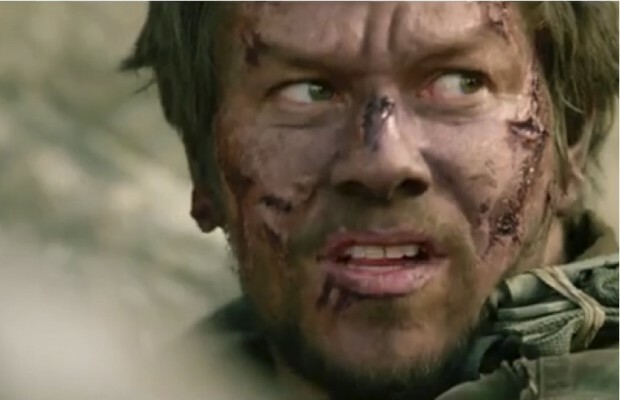 The film proper begins with one of the SEALSs, Marcus Luttrell (Mark Wahlberg), being evacuated by a rescue team. He’s been badly wounded and dies as the medics scramble to revive and stabilize him. Berg’s screenplay, adapted from the non-fiction book by Luttrell and Patrick Robinson (obviously, Luttrell lived to tell the tale), then flashes back several days as the four members of Operation Red Wings are briefed and make preparations for their mission. Not even an A-list cast can do much with “Broken City,” this year’s indifferent released-in-January thriller from Mark Wahlberg. Written by first-timer Brian Tucker and directed by Allen Hughes (half of the directing Hughes Brothers who gave us “From Hell” and the solid doc “American Pimp”), this overcomplicated mashup of film noir elements and Big Apple misdeeds never finds its voice or presents a story compelling enough to grab our interest. 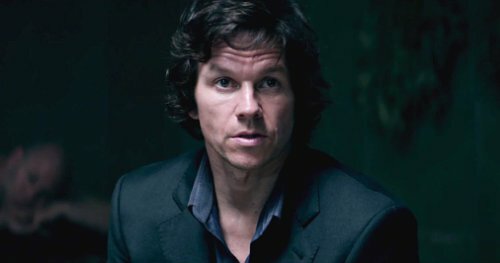 Private eye Billy Taggart (Mark Wahlberg) used to be a cop — until he shot to death a homeboy who raped and murderd the sister of Billy’s girlfriend. Billy beat the rap but at the insistence of NYC’s garroulous Mayor Hostetler (Russell Crowe) and Police Commisioner Fairbanks (Jeffrey Wright) resigned from the force. Now, years later, Billy specializes in chasing cheating husbands. 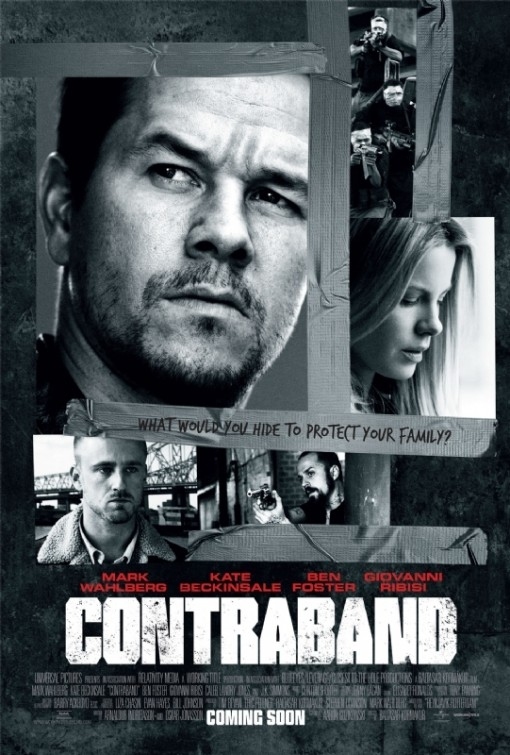 Those were the two words that came immediately to mind after viewing “Cotnraband,” the latest from the hugely productive actor/producer Mark Wahlberg. This crime drama generates a couple of generic thrills, but that’s about it. Well, one supposes that not everything Wahlberg touches can be gold. Every movie can’t be “The Fighter.” But, sheesh, he’s not even trying here.